Dr. Skrobik practices critical care. 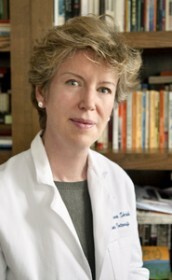 She served as director of the critical care academic program at the Université de Montréal (2000-2004), integrated clinical reasoning in the Royal College of Physicians and Surgeons certification examination process, and initiated critical care fellow simulation in teaching and in certification, and led a qualitative study exploring ICU resident perceptions. She has mentored many medical trainees, supervised master’s and PhD students in nursing, physiotherapy, pharmacology and biomedical engineering, and contributed nursing education and knowledge translation projects. She is part of a national Canadian health care safety training initiative on cognitive dysfunction and intensive care delirium.